Matterport has released a game changing feature that will significantly raise the value of your Matterport virtual tours and also let you tell your story with hundreds of forms of multi-media. This new feature will be offered by Barnes Creative Studios at NO EXTRA COST to you. Multimedia Mattertag Posts will enabling you to build a wide variety of content inside a Matterport model, including images, audio, videos, documents, Google Maps / Street View, slide presentations, polls, other Matterport model, and even embedded product pages from sites such as Amazon. In fact, any of the over 400 content providers supported by Embedly can now be embedded in a Matterport model. Simplify maintenance by attaching operation manuals and training videos to equipment on the site. The ideas are endless. 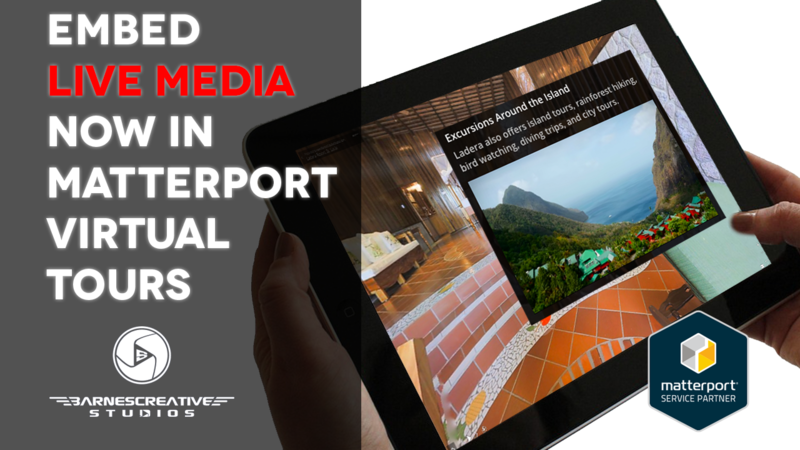 Contact us for more information about this exciting new feature available for all of our Matterport virtual Tours.